Are you looking for Dubai and Oman Tours? Enjoy our Dubai and Oman tour packages to Discover the modern city of Dubai and the beauty of Oman nature and breathtaking landscape. Dubai Oman Holiday Packages allow you to visit the best attractions and the jewels in both of the countries like Burj Khalifa, Atlantis The Palm, Old Market, Dubai Mall, Jewelry shops, Burj Al Arab, Desert Safari in Dubai and Nizwa, Salalah, Jabal Akhdar, Muscat, Nakhal and Wadi Bani Auf and more in Oman! Enjoy our Dubai and Oman tour packages to explore the beauty of both countries. Our Dubai and Oman Tours allow you to enjoy Dubai, and the beauty of Nizwa, Muscat, and more in Oman. Explore our Dubai and Oman tour packages and enjoy the beauty of both countries. Our Dubai and Oman Tours allow you to explore landscapes of Oman as well as the splendors of Dubai and More! 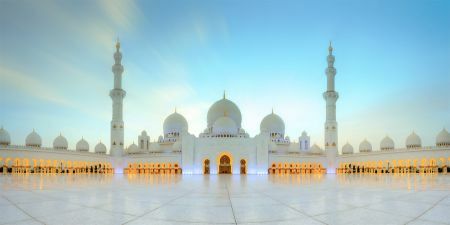 Why book Dubai travel packages with Memphis Tours? There are a lot of motivations to book your tour with Memphis Tours. Our organization has been in the business of tailor-made tours since 1955 and pride ourselves on utilizing this experience to make reliably high caliber, customized tour encounters. Our business stretches out all through the Emirates and the Middle East so we are able to provide a level high of service anywhere you would like to travel in Dubai and beyond. Look here for more reasons why Memphis Tours is the best touring option for you and your group. Is there a discount for booking Dubai tours far in advance? Memphis Tours is upbeat to offer an "Early Bird" discount for customers who pay the full expense of their tour ahead of time. If full payment is received six months prior to the date of your arrival, a reduction of the quoted cost of your trip will be granted to you by 5%. "Early Bird" rates require full, non-refundable pre-payment. Discounted tours are not eligible for date changes or refunds. Memphis Tours operators are available 24/7 to receive your booking inquiries via different ways of communication such as email, telephone, or live online chat. You can also submit a request form on the website describing the details for the trip you want to take, its duration, and any other details you can provide and you will receive a reply promptly with a proposal from one of our representatives. - Our toll-free number, email, and a link to our chat service can be found at the bottom of our website’s homepage. Also, you can submit a booking request for further information about our Dubai vacation packages 2019. Is Dubai a safe place to visit? Are there any specific security concerns to Dubai or the rest of the United Arab Emirates? Dubai and the rest of the UAE are very safe to visit. With very low crime rates, the number of tourists that face any kind of theft or other crime in Dubai are very small. 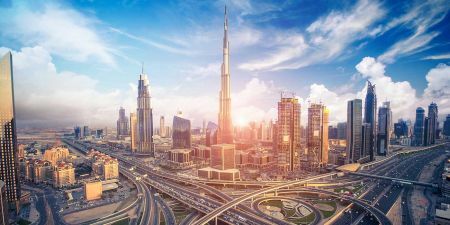 The legal system in the United Arab Emirates is of big difference than in many other countries and penalties for breaking the law there may be significantly more severe than you are accustomed to. For instance, public intoxication and public displays of affection are both immediately punishable by imprisonment and drug laws are enforced extremely harshly. Laws may vary between Dubai and the other Emirates of the UAE, as some emirates are more conservative than other. It is recommended that you be familiar with these differences before traveling to any of the othe emirates. Is there are any special advice for women travelers while visiting Dubai? In some of the more conservative Emirates of UAE and Dubai, it is advisable that women keep in mind the different cultural norms when they are dressing in order to avoid extra unneeded attention. You may want to think about covering your shoulders and your knees. These restrictions do not apply in private area and resorts. How can I obtain my visa to visit Dubai? Citizens from these countries (Bahrain, Kuwait, Oman, Qatar, and Saudi Arabia) do not need a visa to travel to Dubai or any of the other Emirates. While citizens of the other countries like Australia, Andorra, Austria, Brunei, Belgium, Denmark, Finland, France, Germany, Greece, Hong Kong, Iceland, Ireland, Italy, Japan, Liechtenstein, Luxembourg, Malaysia, Monaco, Netherlands, New Zealand, Norway, Portugal, San Marino, Singapore, South Korea, Spain, Sweden, Switzerland, United Kingdom, United States of America, The Vatican, can obtain a free, 30 day visit visa at immigration upon arrival with no prior arrangements. That visa can be extended for an additional 30 days for a fee. Travelers from other countries must arrange for a visa before they travel and will be required to have a sponsor for their visa application. Before traveling to Dubai and the United Arab Emirates you are required to have a passport that is valid for at least 6 months from the arrival date. Other visa requirements may vary from country to another. Can I extend the period of my tourist visa beyond its expiration date? Yes, It is possible to extend your visa in the UAE. The original 30-day visa can be renewed only once for more 30 days. Can I combine my visit to Dubai with another country? Many travelers like to get a combined trip to Dubai and other countries in the region. Memphis Tours offers a wide array of travel services and tours in both Egypt and Jordan, as well as other combined tours. You can visit our homepage to find out more. Are there direct flights from USA to Dubai? Dubai's airport is a major hub for international travel. Flights arrive every day from all over the world, including several destinations in the United States. Can I travel to Dubai by sea? 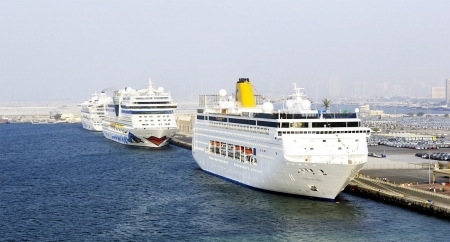 There are several cruise lines operating the Persian Gulf and the Indian Ocean, which stop in Dubai. Memphis Tours offers short private tours for cruise passengers who are passing through Dubai and do not wish to use the tour services offered by the cruise companies. Passengers will be granted a visa by the port authorities at the point of their arrival and tours will begin from there. Please take a look at our Shore Excursions section of our website if you are planning a cruise that will come to Dubai. Can I bring my personal supply of cigarettes and alcohol when I am visiting Dubai? 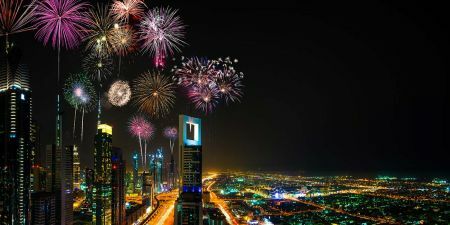 What happens if I didn't purchase my alcohol and cigarettes upon arrival, will I have the chance to buy them elsewhere in Dubai? Duty-Free shopping is only available in the Dubai Airport. Alcohol will not be allowed for purchase at supermarkets or liquor stores in the UAE without a personal liquor license issued by the government; however, It is available for purchase in hotel bars and restaurants. What languages other than Arabic do people in Dubai speak? Arabic is the national language in Dubai, but other languages are commonly spoken in Dubai and the UAE because of cultural diversity there. Dubai is an international city with many foreign nationals from all over the world who speak a wide variety of languages. Most people in Dubai can speak and understand at least basic English. Is there any special dress code to be followed during visiting a mosque in Dubai? Modesty is the dress code. Modest clothes is required while visiting all mosques in Dubai and the rest of the UAE in order to respect Muslim religious practices. All visitors must be covered and dressed in modest clothes. Men must wear long pants and sleeves and women must be covered as well from their ankle to their wrists. Tightly fitting clothes are also not welcomed. Women must also cover their heads with a scarf that will be already available at major mosques so you do not have to buy one. What is the check-in and check-out time in the hotels in Dubai? In most hotels in Dubai, check-out time is usually at 12 PM. However, arrangements can be made to extend your check-out. Check-in is usually around 1 PM, but arrangements can be made for early and late check-in if you need it. What different types of hotels are there in Dubai? Dubai is a diverse city that offers a wide array of different accommodations. Hotels in Dubai vary from reasonable hotels with 3 star ratings to some of the most luxurious hotels in the world like the famous Burj Al-Arab. Are there any health issues that I should worry about in Dubai? In terms of health issues, Dubai is one of the safest places to visit. There is a highly successful vaccination program sponsored by the government to eliminate illnesses and also hold hotels to a very high hygiene standard. Concerning the weather in Dubai, it is very hot, that’s why it is wise to take precautions against heat stroke and sunburn, especially during the hot summer season. Some medications that are legal in other parts of the world are not legal in Dubai. In order to get them, you have to have a prescription. If you have any prescribed medicine, be sure to bring the prescription with you and be sure that none of the medicine that you are carrying is banned or illegal. Anything containing codeine, for instance, is illegal to possess even in small amounts. Are there certain vaccinations that need to be taken before traveling to Dubai? No, there are no required vaccinations before traveling to Dubai. However, if you need to apply for a visa, you may be required to have medical testing done prior to traveling to Dubai. What is the official currency of Dubai? The local currency of the United Arab Emirates is the Dirham. The dirham is currently valued at approximately 4 AED to 1 US dollar or 5 AED to 1 Euro. Will I be able to exchange dollars, Euros, or other currencies in Dubai? There are no restrictions for exchanging currency in Dubai. Any major currency is easy to exchange at any exchange locations that are easy to find in most central areas. All banks offer ATM facilities so that you can withdraw cash easily. How common is the use of credit cards in Dubai? Credit cards are widely used in almost any location in Dubai. If it is not possible to use a credit card in a given store, there are ATM locations commonly available where you can withdraw cash. Is it a common practice to give tips in Dubai? Tipping is a common practice in Dubai, but it is not required. In restaurants, usually a 10% service charge is included, you can also tip waiters directly, especially if this is not included. Taxi drivers do not require tips, but you should round up to the nearest dirham on the fare. You are advised to tip a couple of dirhams to bellmen, baghandlers, supermarket baggers, and windscreen washers at gas stations. 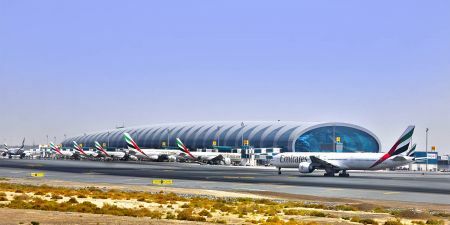 Will it be easy for me to find transportation from Dubai Airport to other destinations in the city? Transportation from Dubai Airport is very convenient. The most common transportation from Dubai airport are the taxis, which are metered and start at 25 dh. The airport is also served by the Dubai Metro and public buses, which cost 3 dh for trips into the central bus stations in the city. Is it a good idea for tourists to use public transportation in Dubai and the United Arab Emirates? The metro and public buses in Dubai are well-maintained and are very recommended for transportation. In fact, the Dubai metro is considered to be the best transportation in the Middle East. However, Dubai city is still very car oriented and you may need to use taxis sometimes to get around. What are the sights and activities that are not be missed while visiting Dubai and the United Arab Emirates? -Burj Al Arab -Burj Khalifa - Musical Fountain - Dubai Mall and Dubai Aquarium -Dubai Creek -Dubai Dhow Cruise -Ski Dubai -Shiekh Zayed Mosque in Abu Dhabi -Yas Island in Abu Dhabi -Jebel Hafeet in Al Ain Oasis -Desert Safari Additional Questions If you have any other questions, which have not been answered here, please contact us by telephone, email, or by live online chat. You can find our email, telephone numbers, and a link to the live chat at the bottom of our homepage. Arabic is the national language in Dubai, but other languages are commonly spoken in Dubai and the UAE. The metro and public buses in Dubai are well-maintained and are very recommended for transportation. Tipping is a common practice in Dubai, but it is not required. In restaurants, usually a 10% service charge is included, you can also tip waiters directly. It is possible to extend your visa in the UAE. The original 30 day visa can be renewed only once for more 30 days. Burj Khalifa is a skyscraper in Dubai, and the tallest man-made structure in the world. Palm Jumeirah, the first offshore development of its kind and is the 8th Wonder of the World. Dubai Mall is one of the world's largest shopping malls. Dubai Museum, located in Al Fahidi Fort, and is the oldest existing building in Dubai. Jumeirah Mosque, with a capacity for 1,200 worshippers, and was built from white stone. Dubai Creek flows between Bur Dubai and Deira,and is a historic focal point of Dubai. Dubai Desert Safari, Quad Bike Safari, Sand boarding, Falconry Experience, Camel Trek, and Henna Painting, are among the most enjoyable activities in Dubai.